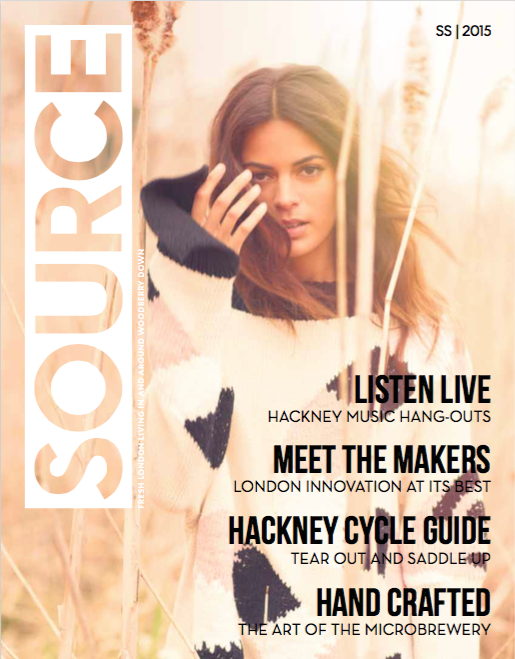 Source Magazine, spring 2015. Original article. The Hackney WickED festival is a three-day explosion of the creativity of London’s most brilliant arts hub. But the community that’s the beating heart of Hackney Wick keeps the spirit alive all year round. Hackney Wick doesn’t feel like the rest of London – actually it doesn’t even feel like the rest of Hackney. Coming off the Overground you immediately see the larger-than-life red letters on the wall: ‘HW’ they read, setting it in stone. And further along a more modest scrawl: ‘Welcome to the Wick’. This is a place by artists and for artists, but you’re welcome to come stay a while: linger in the galleries, study the artful graffiti, have a drink at The Hackney Pearl. The first studios opened in 2001 as artists came to the Wick in search of affordable spaces to work and live. The Hackney WickED festival came along in 2008 to celebrate and promote the art and community. 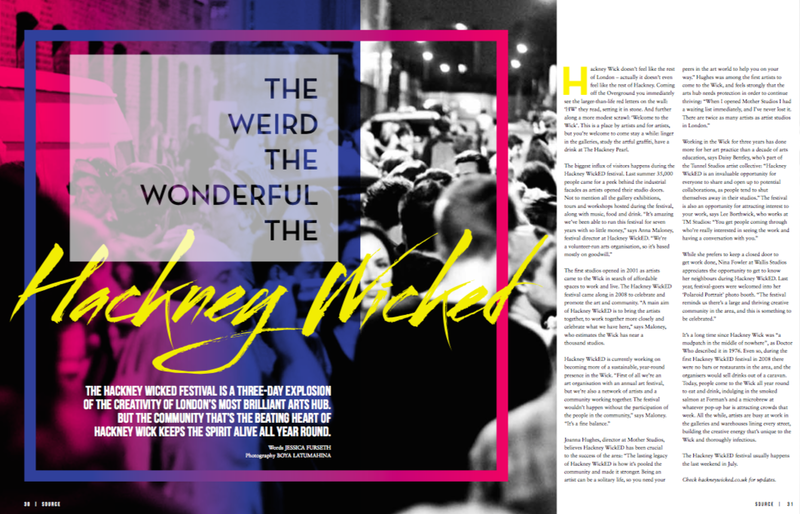 “A main aim of Hackney WickED is to bring the artists together, to work together more closely and celebrate what we have here,” says Maloney, who estimates the Wick has near a thousand studios. It’s a long time since Hackney Wick was “a mudpatch in the middle of nowhere”, as Doctor Who said in 1976. Even so, during the first Hackney WickED festival in 2008 there were no bars or restaurants in the area, and the organisers would sell drinks out of a caravan. Today, people come to the Wick to shop and eat all year round, indulging in the smoked salmon at Forman’s or a microbrew at whatever pop-up bar is attracting crowds that week. Even though it’s still geographically isolated between a major road and the canal, the Overground has made the area much more accessible. All the while, artists are busy at work in the warehouses lining every street, building the creative energy that’s unique to the Wick and thoroughly infectious. Posted on 01/29/2015 by Jess. This entry was posted in Art writing, Lifestyle features and tagged art festival, gentrification, hackney wick, hackney wicked, london. Bookmark the permalink.